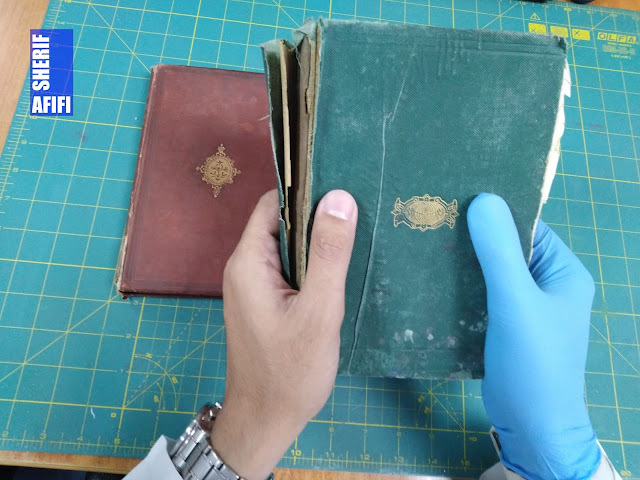 Whether you are an archivist at a large museum, a volunteer at a local historical society, or the family historian, it’s important to know the vintage and type of photographs in your collection. 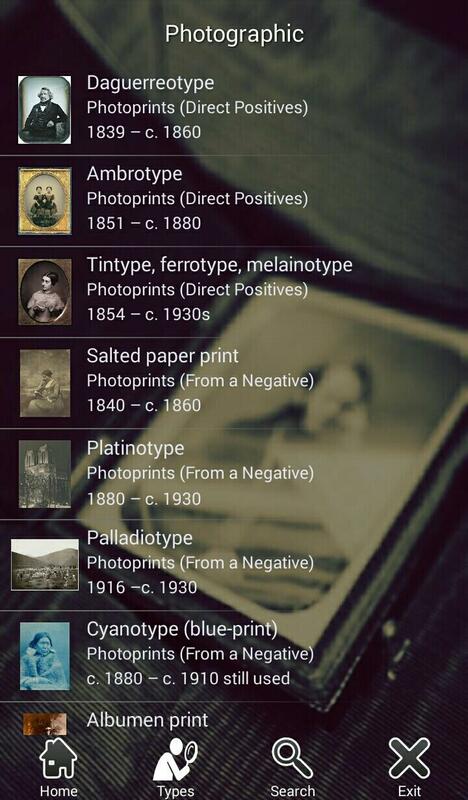 Numerous types of photographs appeared and then went out of favor throughout the 1800s. So, the first step in narrowing the possible date for your old photograph is to be able to identify 19th-century photographs to determine what type you have. 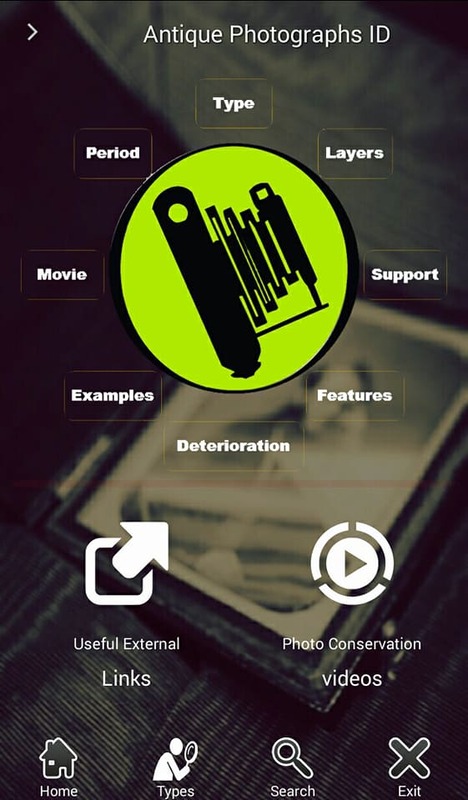 The information provided in this handy and light application can turn you into a proficient photo detective. 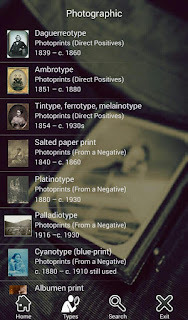 Through this FREE android application (Antique Photograph Process Identification), you will find various information about most known antique photographs types. 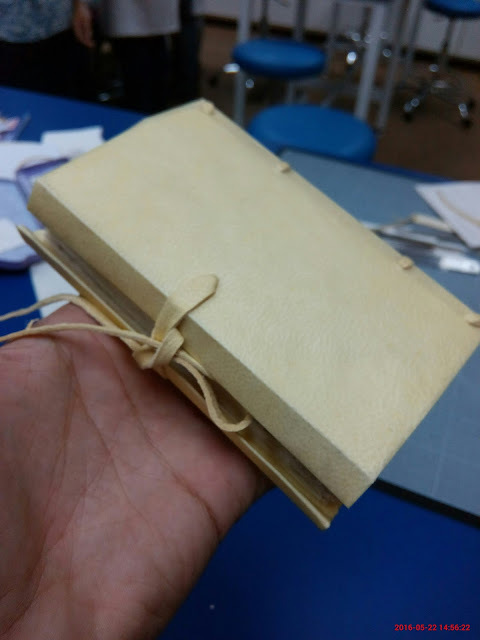 whether it is a direct positive like Daguerreotype, Ambrotype, and Tintype, or from a negative for instance, Salted paper print, gelatine prints, and albumen prints.etc. Ther information in this application covers the main features of the identified type and its layers and support materials, in addition, some information about its deterioration features. Some other useful links are added to the application for the most well-known photograph institution as well as some Youtube videos about photographs conservation techniques which have been applied in most cases for some research purpose by me. 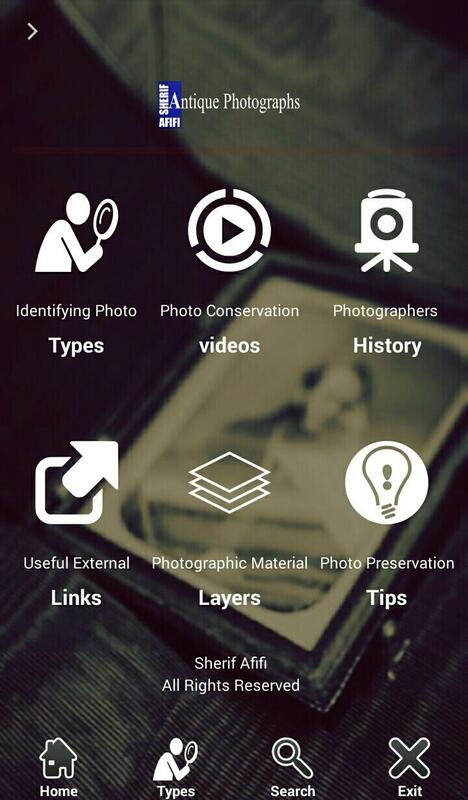 At the time being, I am working hard to update this application with new features and options for naive users, which will make antique photographs identification easier for those who are not professionals or not fully familiar with photo types to help them at least to get a basic idea of their family and private photograph collection. 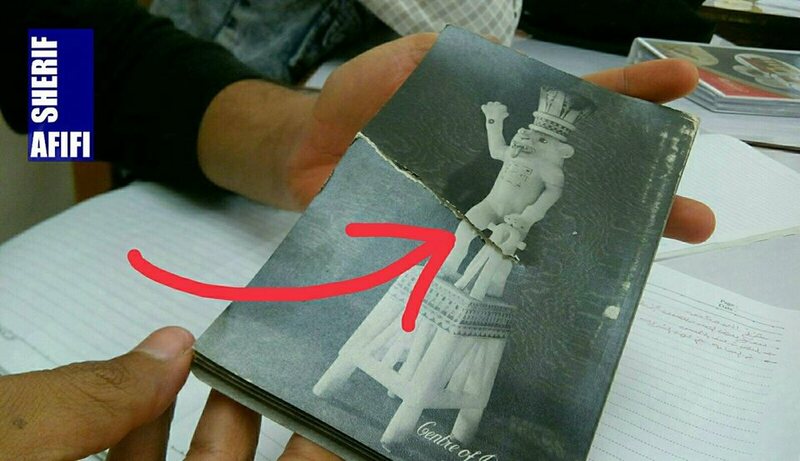 This application gives you basic information about antique photographs types, but if you would like to take action to those photographs you should consult an expert before taking any action.